Manoranjan, the hot, money-spinning star of Tamil cinema with a humongous fan-base, is at the peak of his self-centered professional career, his latest commercial outing opening to blockbuster collections and thunderous applause among fanatics, when he gets hit with a diagnosis of Stage 4 Glioblastoma multiforme, a type of malignant and notoriously fatal brain tumor with an average life expectancy of 9 to 12 months. After the initial shock, disbelief, grief and anger, the terminal revelation grounds the aging alcoholic from his self-constructed fantasy world of intoxicating fame and fortune, back to the harsh reality and leads him into a hitherto-ignored emotional juggernaut, overwhelmed with guilt over his years of apathy towards his son, born out of a forced and professionally convenient wedlock, as a price for building a lucrative career in cinema. Living all alone and pitted against mortality, cancer makes him look more closely at his personal and family values, and what’s most important in his life. This is when it dawns upon him that his life-time may be not sufficient to make all amends – to record gratitude, to plead remorse, to communicate deep-rooted love and affection, which had been lying dormant for long. Convinced by his mentor to inform his family of his illness without wasting time, the emotionally regretful Manoranjan finds himself in his father-in-law’s house to break the news to his wife and son. This is something, many of us would find it difficult to relate with. Getting a fatal disease is one thing. Dealing with the emotional ripples and repercussions, it sets up in your family is entirely a different ball game. Over time, you get to realize that the latter is much tougher and draining than the former. Even your loved ones often don’t know how to react or what to say, when confronted with such a situation. Your whole life flashes in bits and pieces, in front of your eyes. It flashes the same way for Manoranjan as he takes his teenage son Manohar, who had just returned home after a game of cricket, out to the lawns for some father-son ball-time. Several thoughts seem to be flooding his mind at a time. How would his son react to the news? Would he still hate him for his emotional disregard? Would he care? Would he feel uncomfortable talking with him and may be afraid of upsetting him? Would he be vocal about his despise or frightened about the possibility of losing him? Would he forgive him for being aloof for years together? The barrage of endless questions hits him like an unapologetic hurricane. Once outside, Manoranjan makes some small-talk, wearing a poised attitude with quite some effort, as he throws the ball to his son. It’s quite evident right at the start that the Manohar is not very happy about his dad, as he accuses him of leaving mom for some other woman. Seeing the conversation going nowhere, Manoranjan puts it in the plainest of words that he is dying. When the boy instantaneously spews more hatred asking him to stop his daily dose of alcohol, Manoranjan seems to get the true gravity of his emotional neglect. When he confides in his diagnosis of an aggressive brain tumor in a candid manner, the boy is instantly lost for emotions. Doubts and concerns about his dad’s casual demeanor are all he is able to convey, right up front. Yet again, Manohar’s emotions are so layered, that many of us cannot easily comprehend them. Why was my father emotionally unavailable and physically absent, when I needed him the most? Why did my father forget to contribute to my inquisitive life as a child?. Why did he choose stardom over parental love? Why didn’t he pay attention to me? Why didn’t he affirm me? Why didn’t he sit and communicate with me? Why am I left in the dark? What role did he play in my life other than financial support while I was growing up? The stupefied look is there, hanging on persistently to Manohar’s face as the gnawing questions of his life come back to haunt him with stronger vengeance, while he struggles to deal with this sudden life-changing revelation. Manoranjan takes his son to a seating bench, and continues talking. Reminding Manohar of his childhood dream of pursuing law, he casually asks him what he wants to do in life, as the boy still seems to be reeling from the shock. Manohar takes a seat beside him, grief and sympathy slowly taking precedence over the initial jolt, on his face. But soon, a disappointed look creeps in as he instinctively shoots back to his dad, asking him the reason behind his sudden curiosity, out of the blue, after so many years? The lump on Manoranjan’s throat is now difficult to conceal. Fighting his primitive fears, near tears and years of regret, he finds it tough to explain. “Indeed. I must have. But… Instead of a mere ‘sorry’, I intend to compensate with action, whatever little I can”, is all that he manages to get out of his mouth, in that moment of intense bonding. The boy seems to understand the overflowing emotions and pain in the words of his dad. In a nod, he had almost put the past behind, ready to forgive his father for all his faults. Eyes gleaming with intent and reflecting his burning desire to prove a point, Manohar continues. “I want to write a sensible script befitting the talented powerhouse performer in you, and show Kodambakkam who you really are!” the teenage boy’s yearning and sincerity is evident in his voice. Here is a gifted actor whose prowess had been mercilessly killed and made a victim of commerce, where he had to sacrifice his talents and technique for playing to the gallery. And then, there is his son – his progeny, who nurtures a dream of seeing his dad, rule the screen with his immense acting talent, taking up a sensible and powerful role that suits his age. Here is a young man who believed in putting his father’s natural flair to intelligent use for making some quality cinema. But alas, is it the sadist works of destiny at play? Is it too late? “Thank you pa”, he mutters. The joys of seeing your kid stand up for you, and shape his career with the sole purpose of proclaiming your talent. The pain of realizing that time and tumor wait for none and your death might stand between your son’s intent and execution. At a time. Terrific! A nervous stutter probably because of the flooded feelings starts to show in Manoranjan’s voice. “Well, Good… Good.. Good”, he continues. He lays himself bare, his complicated emotions eating into us, and tugging at our hearts.“Who might guess? May be, when you return after finishing your course, there might be a better actor in Tamil Nadu! Or better still, you will find a capable Tamil actor right in Columbia!” The stutter ends in an emotionally overwhelming quiver. There is no way you can ever fully express the pain of losing a loved one. There is no way you can make others, let alone your dad, understand the resilient dreams and pains you have endured. All you can do is to deal with things the best you can, and silently hope for destiny to interfere. But they won’t be my dad, right?” the boy – the seed of his blood and the soul of his flesh – can’t take the pent-up pain anymore, as he walks away, sobbing uncontrollably, his eyes gushing with tears. Manoranjan intuitively runs behind him, and hugs him tight, one hand wrapped around the boy’s neck that is titled down, as he tries his best to console his kid. No one dying would want to alarm his child by being hysterical, or creating a scene. But Manoranjan seems to understand that tears in this situation were in fact, the inevitable. “No.. .No, my son. You are a man now!” he repeatedly stresses, while at some point, breaking down himself in his attempt at pacifying his inconsolable son. And then, it happens. Curious onlookers from outside his garden recognize him, and start howling in excitement. When you’re famous, you kind of run into human fanatic nature in a raw kind of way. To survive it and to preserve the kind of spirit, the star in you projects on-screen–the radiantly benevolent sense of life, which cannot be faked – is an almost inconceivable psychological achievement that requires a heroism of the highest order. Manoranjan stamps it even in that grievous moment, as he first acknowledges the fan crowd by raising his hand, and then pleading in distress to give him his personal space and go away. A painful and poignant instance of mutual solace, in the real world. A wish from a fan about a confirmed national award in the reel world. Antithesis, you beauty! Manoranjan mumbling a half-hearted ‘Yes’ to the untimely cheer, and proceeding to calm his heart-broken child, kind of – nails the moment. Manohar is still literally distraught, unable to cope with the agonizing thought of his father leaving him forever. “Why you, dad? Why, you?” The boy grasps Manoranjan’s waists stronger, his head still titled to the ground. At some point in every person’s life, they come to grip with the fact – the universal principle that all humans would inevitably die. In fact, death is more universal than life. Everyone dies, but not everyone lives. Realizing this is not an arduous task. But try telling that to a grief-stricken sixteen year old! “This happens to everyone at some time, baby. Everyone!” Manohar keeps whining a ‘No’ as his actor dad finds it almost impossible to act. “Even you, my baby. Everybody dies. Everybody!” he is not able to continue, as he chokes with overflowing tears. These are times when strategies of distraction and consolation no longer work, but are however inevitable. However mortality is perceived, its inexorable nature is not in debate. But knowing that death is a universal requirement does not, in any way, end our predicament; it only pushes our need to understand what life is all about, what its purpose is, to the fore. Manoranjan’s past might not have stopped tormenting him for his regret. He might not have a future at all. But at the present, he has found solace by making peace with the genesis of his own blood. Well, almost. Uttama- Villain! Mani…You have outdone yourself. What a gem of a piece!! Its a fantastic scene and you have narrated it so well that I had tears while reading this. Thank you very much. 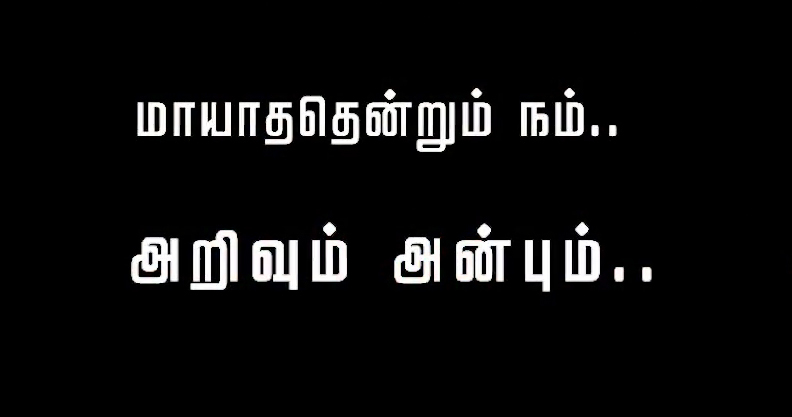 Kamal Haasan sir explained this on screen exceptionally well, and you Sir, did it on your blog! Kudos Sir, thankyou! 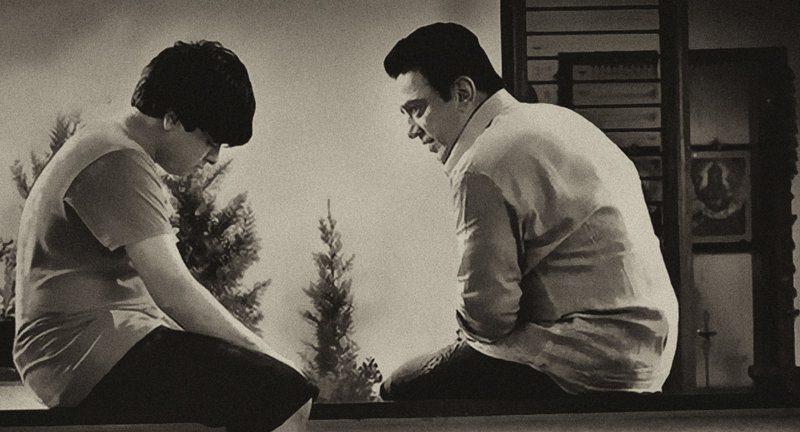 I enjoyed film due to Kamal’s acting rest of it was not at all impressive. You have mentioned after initial shock,there is disbelief and anger, in this film i did not see any of the emotion. It is like he gets the news, next thing he decides he has to do the movie with his mentor. In this age of hyper connectivity and social media, it is strange that superstar will continue his treatment in India, instead of going to USA where his privacy will be guaranteed. Kamal has reached a stage, where he now writes scenes just to showcase look i am acting, i can do this. He should stop this and think of larger interest of film in his mind. To call Ramesh Arvind,an auteur for this film would be disgrace to the word auteur is what i feel.